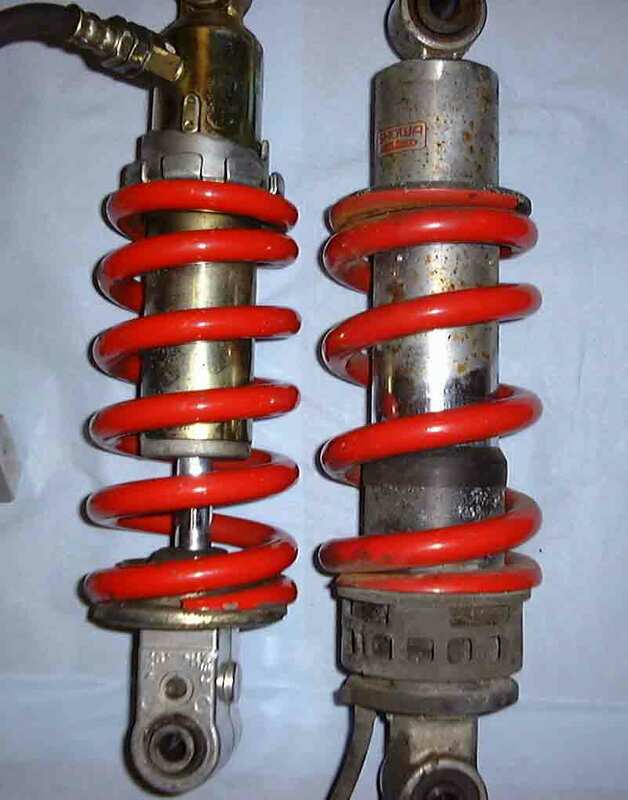 I acquired a 1999 CBR900 rear shock, which is just about the same length as a Bros rear shock. Only the top eye needs modification to make it fit. 1. The eye needs machining down to approx 24mm and the central sleeve inside the eye needs to be machined to approx 25mm (check your existing rear shock top eye dimensions first). I have access to a machine shop so am lucky but with care it can be filed/ground down to fit. Just be really careful not to get it too hot, take your time and let any heat generated dissipate naturally. If you can't touch it it's got too hot !! 2. The top eye central sleeve needs drilling/boring out to 12mm. I offset bored mine upwards (away from the shock body) by 1mm. This will increase the ride height but is very negligible. The springs need swapping, plus a spacer of approx 13mm to make up the difference in spring length between the CBR and Bros. Also, ideally a new/modified 'bump stop' fitted. 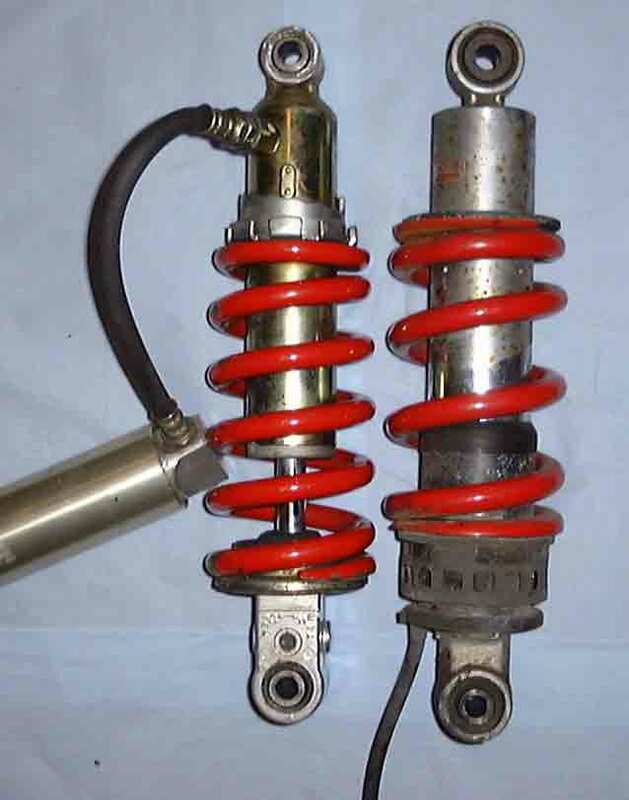 The Bros spring has a higher spring rate than that of the CBR900. I have rough fitted the shock to the frame and will clearance the frame just a little to improve the clearance between the shock reservoir pipe outlet and the frame. 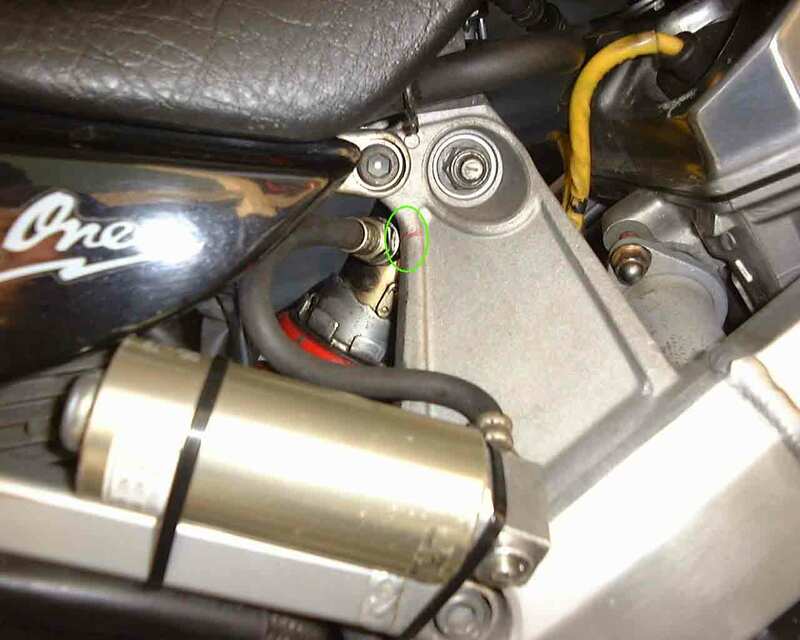 I have ridden the bike with the CBR900 spring in place and to be honest it doesn't seem to soft to me - I'm around 135lbs but will mod the shock to include the stock Bros spring and check out the difference. I also don't like the position of the reservoir so will re-locate it.